Frances Joyce made her Life Profession on November 5th, 1958, and worked in many areas and Branch Houses of the Community until her death on March 1, 2000. She took office in 1970 as Mother Superior in a time of transition. The 1960’s had seen dramatic changes. We had begun the revision of our Rule of Life. Our habit was in the process of evolution. We were in the forefront of liturgical renewal. Without losing our primary focus on God, we were exploring the dimensions of interpersonal relationships in new ways. We were seeking a balance between old and new, so as to move forward without leaving anyone behind. She built on the wisdom of Mother Aquila and guided the Community in a way that combined growth and stability, and nourished the monastic values of prayer, community and hospitality. One of her greatest gifts was the generous and selfless welcome she gave to all with whom she came in contact. Ecumenical evenings, held annually for many years, including Religious from a variety of Christian traditions, are examples of the hospitality and zealous desire for unity that were so dear to her heart. 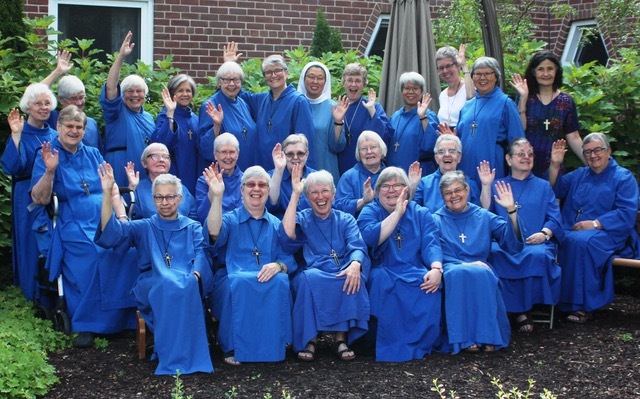 During her time as Reverend Mother, we moved into the future as a small but united Community with a healthy, vigorous and joyful spirit, open to growth and to new insights and forms of ministry, while at the same time grounded in the fundamentals of monastic life. We remember and celebrate her life in thanksgiving for her discipline, cheerfulness, wisdom and caring.